Adding a stubby rear bumper, high-clearance fenders/flares or removing the rear spare tire. All things that can gain more clearance at the back of a JK for the best function on the trail. Whats left? The plastic license plate holder that sticks off the back corner of the Jeep waiting to get bashed in by a tree, rock, etc. This leaves the mount and license plate tattered and in some cases ripped right off the Jeep. Adding a JKS License Plate Relocation Kit w/Light solves this problem. Relocates license plate to the tailgate when not running a spare tire. Eliminates the factory plastic license plate mount the protrudes out the back and drivers side of the vehicle. Works great with stubby rear bumpers and/or replacement fenders for a clean, high clearance look and function. Laser cut and CNC formed using 13 gauge steel, stainless steel mounting hardware. Includes high-quality waterproof polycarbonate license plate light with 2 high power SMD LEDs to maintain legal lighting on plate when headlights are on. Includes instructions for using the 3rd brake light wiring to power the license plate light using supplied high-end electrical splice connectors. Includes factory license plate location cover plate and tailgate plugs for 3rd brake light wiring and spare tire bumper holes. 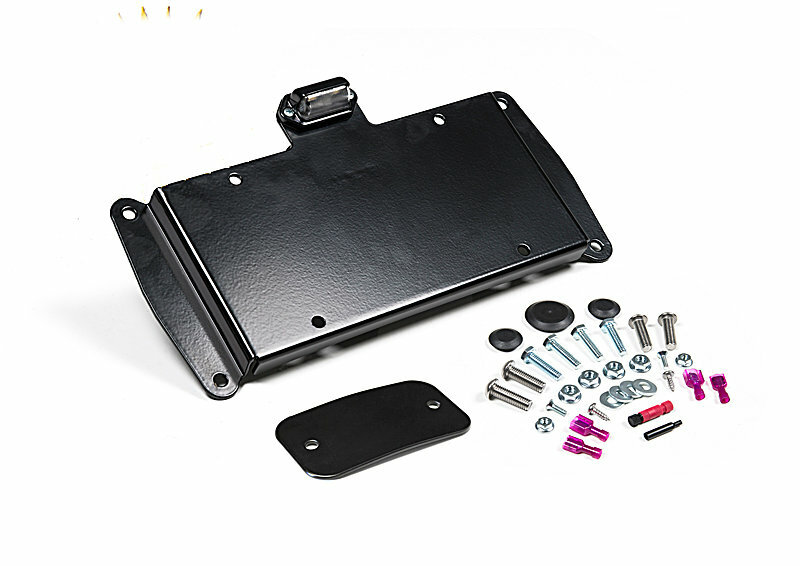 Can be used with the factory horizontal tailgate vent or with JKS Spare Tire Delete JKS8200  which is recommended for early 07-09 models with vertical vents where the License Plate Bracket will not completely cover the factory vent. Quick shipping. Easy install. Looks great. If you’re looking to save weight after installing bigger tires this is the way to go. Four 35” tires on my JK are only about 25lbs heavier than five 31” stock tires. Love the look and quality of this product. 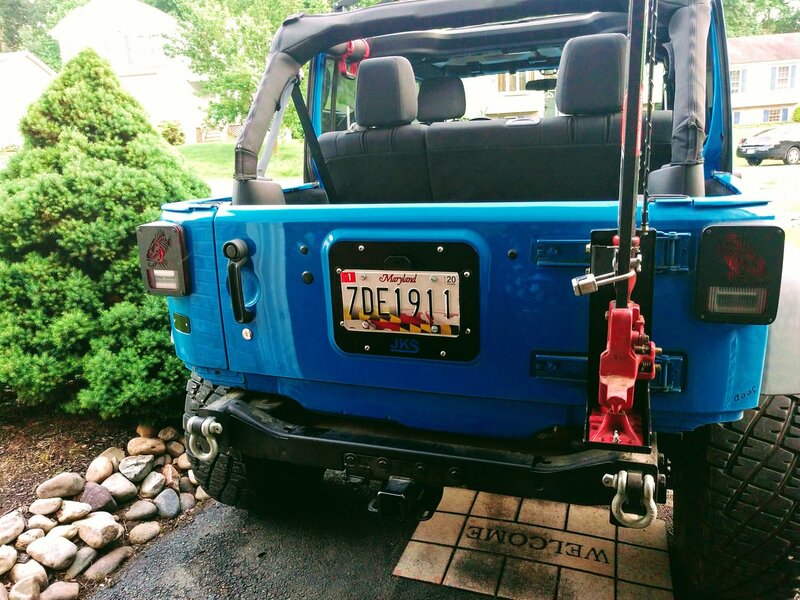 A perfect way to relocate the license plate when spare removed. Did not care for the small metal cover with screws so opted for plastic substitute. Looks great. Perfect fit. I installed this along with the JKS vent plate.